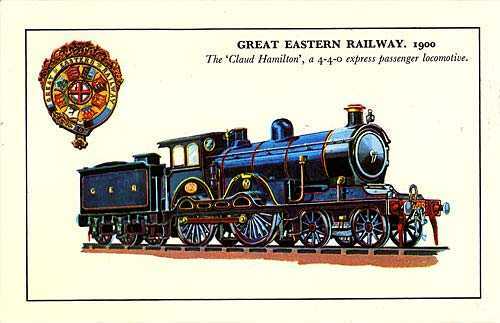 The “Claud Hamilton” class of locomotives, Classes D14, D15 and D16 under the LNER were 4-4-0 tender engines designed under J. Holden by F. Russell and named thus after the long-serving Director of the GER. Cambridge shed was a significant user of these locos, even in the early 1950s, and yet there is no model of one available for RailWorks and no likelihood of one being built. We therefore made enquiries about getting one made, and needed to raise about £300 to act as a ‘pump-primer’ for a professional add-on company to make one. Thanks to the generosity of several contributors we raised the money and the Claud is in the production queue with release expected in 2014 ! As we get nearer the actual release date we will provide more info including confirmation of liveries and price. The Claud Hamilton Locomotive Group, who aim to recreate a full size working locomotive.